Stafford, VA. A suspect who was taken into custody early Friday morning by deputies with the Stafford County Sheriff’s Office escaped from Mary Washington Hospital during a medical evaluation and was located later that morning by hospital security. 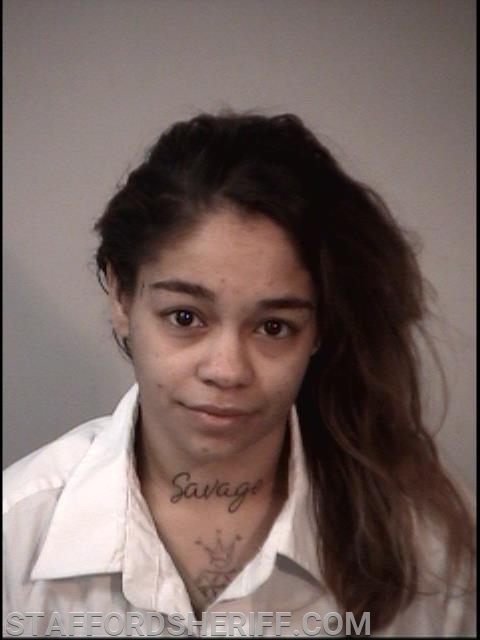 On Friday, January 25, 2019, Sheriff’s Office personnel responded to Mary Washington Hospital in reference to an escape of a female subject in our custody for possession of a controlled substance. The suspect, identified as Amber Rogers, 29, of Fredericksburg was at the hospital for a medical evaluation. During the evaluation, at approximately 4:45 a.m., the suspect slipped into a bathroom, which—unbeknownst to the deputy supervising the room—had a second door, allowing her to exit. The drone team and K9 units subsequently responded to the scene to conduct a search for the suspect. Assistance was also requested from the Fredericksburg Police Department. After several hours, Mary Washington Hospital security personnel located the suspect hiding in a vehicle on the property. The suspect was arrested and transported to Rappahannock Regional Jail where she was held without bond. She was served the drug-related warrant and received an additional charge for escape. We would like to thank the public, Fredericksburg Police Department, and Mary Washington Hospital Security for their assistance in locating the suspect.